On an episode of NOVA1, entitled “Rise of the Rockets”, current and former aerospace industry professionals discussed the transformation from the olde to the new space race. This included some explanations of propulsion and flight paths for ascent and descent that any layman could understand. Most of the documentary, however, was devoted to discussing successes and the challenges that had to be overcome to achieve them. It was quite apparent that sending a rocket into space is an endeavor with an almost infinite number of risks. In spite of this, the development and launch of commercial rockets have become a reality. Although the majority of space and mass of a space platform is devoted to fuel, these vehicles contain highly complex electronic systems and PCBs that control all aspects of flight, along with communications and onboard systems. Building these systems to perform reliably and withstand the rigors of the space environment requires management of the risks within the development process that could result in platform failure. In order to manage risks, they must be identified and analyzed for effectiveness such that improvements can be made, if and when necessary. There are requirements within SAE Aerospace Standard AS9100D that should provide a framework for your risk analysis for aerospace engineering. Prior to exploring these further, let’s first examine the risks that we need to mitigate. Gazing into a clear sky at night can be mesmerizing. The panorama of serenity, however, does not present the full picture. The space around the earth is actually a very harsh environment with extreme temperature swings and debris, natural and man-made. Besides these risks which must be contended with for long-term deployment in low earth orbit, the launch itself places tremendous vibrational and other mechanical stress on the platform and its systems. 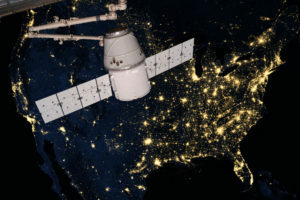 Once deployed, space vehicles like satellites must be able to perform intended functions as service and maintenance are currently not available 2. Space vehicles, both manned and unmanned, rely to some degree on electronic systems and PCBs for virtually all operations. This places a high premium on the quality and reliability of the boards used in these systems, which is the motivation for the rigid regulatory requirements for PCB manufacturing for aerospace systems. To assure that board development meets these standards, you should develop a sound risk analysis plan in collaboration with your contract manufacturer (CM). It is best to bring together experts in the various areas of your risk analysis to ensure that your overall plan reflects the best ideas and capabilities. You must quantify your risks and define metrics to rank their impact. Otherwise, no real data can be analyzed that will allow for improvement. You should establish a culture of open communication between risk personnel. This will enable you to respond the quickest to risks throughout the process. Your control metrics should be clear and unambiguous. For example, 15% risk is not a good control metric. Less than 15% or 15% and higher are clear. Be realistic and conservative when determining your acceptance levels. Have automatic or quickly implementable control actions in place. Understand that eliminating all risk is usually not possible; therefore, do not disrupt your process unless acceptance levels are exceeded. The above list generally defines the regulatory requirements for your operational risk analysis for aerospace engineering that should govern your PCB development. By implementing these mandates, you can minimize the risks for your board design and manufacturing. Tempo Automation is experienced in producing boards that meet the strict standards for space vehicle deployment. And to help you get started on the best path, we furnish information for your DFM checks and enable you to easily view and download DRC files. If you’re an Altium user, you can simply add these files to your PCB design software. If you are ready to have your design manufactured, try our quote tool to upload your CAD and BOM files. If you want more information on risk analysis for aerospace engineering or how to how to make sure your PCB development process adheres to the industry standard, contact us. 2 The International Space Station (ISS) is an exception as there is personnel aboard that can perform repairs.